There are plenty of riders that are impressed with the capabilities of this Carrera Vengeance Electric Mountain Bike. The aim here was to allow riders to explore a little further than their experience levels may allow. There are new riders impressed with the speed offered here, but also the ease of handling. There are some neat features built into the bike to provide this level of assistance. This includes the high torque power of the motor, the 15.5mph top speed and the sensor. This sensor alerts the motor to a lack of motion in the pedals. This means that it should be a reliable aid whenever riders need a helping hand. Then there are the other features of this Carrera Vengeance bike that riders would expect from a mountain bike. This includes the 29’’ wheels for stability on the trails, responsive Shimano hydraulic disc brakes and 10 speed gears. There is also a decent amount of suspension for those that want to push themselves. Despite all of this, there are some buyers that say that this Carrera Electric Vengeance model wasn’t quite as they expected. Leisure is the important word here. Those that push this electric bike on tougher routes and ascents will tire the battery more quickly. Furthermore, heavier users can also put the ebike under more strain. On the subject of weight, this e-bike is heavier than expected. There is an aluminium frame, but weight of the motor, battery and large wheels make this heavier than most mountain bikes. 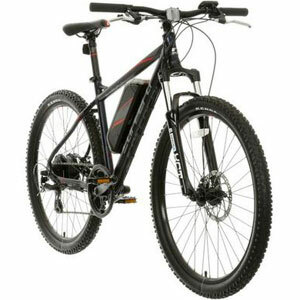 What does this all mean for the final recommendation on this Carrera Electric Mountain Bike? It is difficult to compare this model to “real” mountain bikes because there are clear sacrifices and differences. It wont act the same way as the original Carrera Vengeance because of the weight issues and the fact that the battery will die after a while. But, it still has many of the most important component, a reliable power system and a great look. Therefore, this Carrera mountain ebike is an interesting option for anyone considering an electric approach next time they hit the countryside. 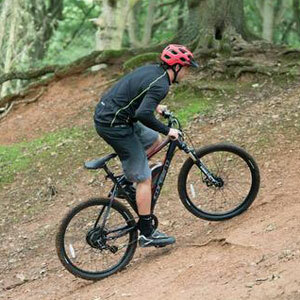 Find more reviews about the Carrera Vengeance Electric Mountain Bike on Halfords here.